Returning from an injury is an uphill battle. Not only does the injury itself hold you back, but you will have decreased muscle mass in the injured area, and will most likely be in less-than-great shape, increasing your chances of sustaining a new injury. Here are a few things to keep in mind so you can get back to full strength after an injury. When you’re recovering after a serious injury, you should always listen to your physical therapist and stick to the routine he or she outlines for you. These exercises are designed to help you recover quickly and effectively, and also prevent future injuries. 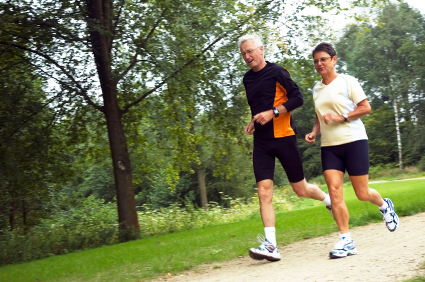 Your physical therapist will also be able to tell you when you’re healthy enough to start running again. Once you have to go-ahead to get back to training, it’s important to take it slow. When you are fresh off an injury, the chances are high that you can re-injure yourself, or even cause an entirely new injury. Warming up, stretching, and performing any other pre-workout exercises that your physical therapist recommends is essential. 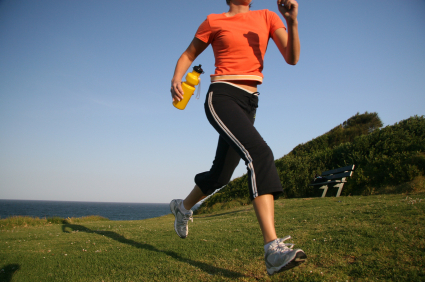 Once you start running, begin with a light jog, or even a brisk walk. It’s also a good idea to supplement your running with cross-training on a bike or by swimming. It’s crucial to listen to your body very carefully during these early stages so that you don’t injure yourself again. Many times athletes will become discouraged after an injury because they compare their previous performance to their post-injury performance. This is mistake. There’s simply no way for you to perform at the same level that you were performing before your injury, at least not without weeks (or sometimes months) of post-injury training. This might also cause you to want to push through intense workouts even though your body is telling you not to. Again, listen to your body and recognize “good pain” versus “bad pain.”. Another good way to keep from getting discouraged is to set short term goals that you can reach every week or even every day. Having goals to look forward to and achieve will also keep you on track in the long-term. You might find that you need more time to recover from workouts than before your injury. If you’re feeling particularly sore from a run, don’t be afraid to take a day or two off to let your body recover completely. A healthy diet that includes the proper amount of protein and carbs for effective recovery will also help you stick to a training regimen. Over the ensuing weeks and months, you will eventually get back up to where you once were, and hopefully even surpass your pre-injured self. MMAR Medical carries a wide selection of running braces and supports from respected orthopedic brands. They also offer educational articles on everything from wrist and hand injuries to sport specific injuries including football, baseball, and golf.